It's Hip 2 Serve! 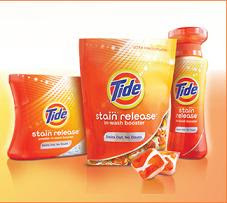 : New $1.50 Tide Stain Release Coupon + More! Tide has two awesome new coupons you can request! Go on over here to snag a $1.50/1 coupon valid on the new Tide Stain Release and a $1/1 coupon for Tide with a touch of Downy. You will receive both of these coupons in the mail. These coupons should make for some sweet deals at the Commissary!